The French President is expected in Athens today for his 2-day visit aimed at promoting his campaign for rendering European institutions more democratic. 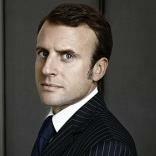 Mr. Macron will hold meetings with both the Greek PM and the main opposition leader, with the agenda focusing on EU-wide reforms, privatisations, investments and immigration. 13:45 Macron and his wife will go to the Presidential Mansion where they will meet Prokopis Pavlopoulos and his wife Vlasia Pavlopoulou. The two presidents will make brief statements to the press which will be followed by a private meeting. 15:30 Macron and his delegation will go to Maximos Mansion where he will be greeted by Prime Minister Alexis Tsipras. A private meeting will follow.